Watch: Netflix’s New Sabrina Trailer is CHILLING! 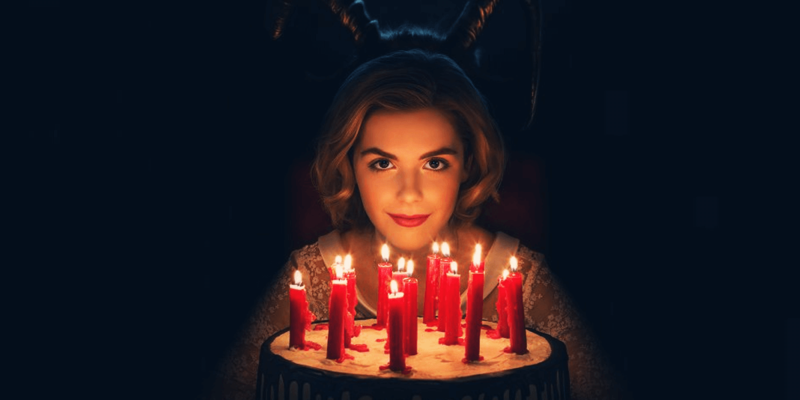 The first official teaser for Chilling of Adventures of Sabrina is chilling AF. 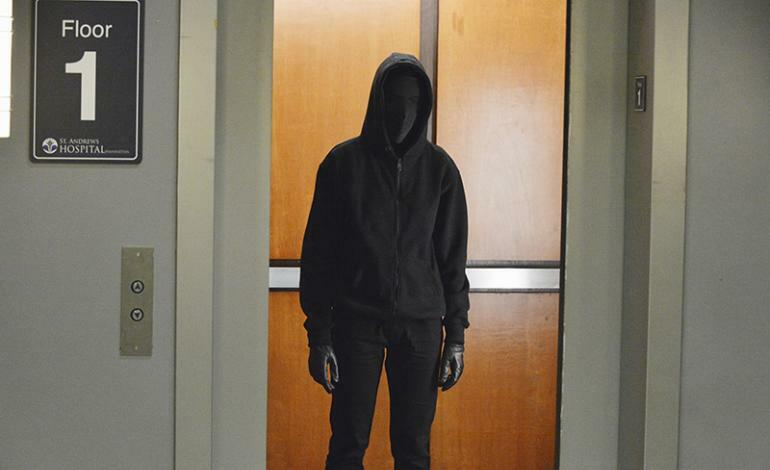 It’s much darker than we initially thought it would be though the writers and creators definitely warned up. 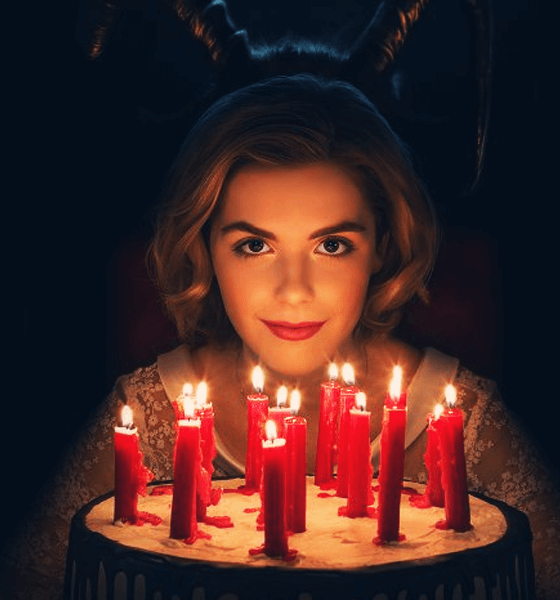 Some of the creepiest images throughout the trailer: that eerie rendition of “happy birthday,” our first look at Spellman Mortuary, demonic school children haunting Sabrina’s dreams, a pentegram, a seance, something that looks like an exorcism, and the devil himself attending Sabrina’s birthday bash. Worst of all, Sabrina seems to be in a daze and actually enjoying the darkness that comes with her birthday. What does this all mean. Watch the trailer, if you dare, and prepare not to sleep tonight. 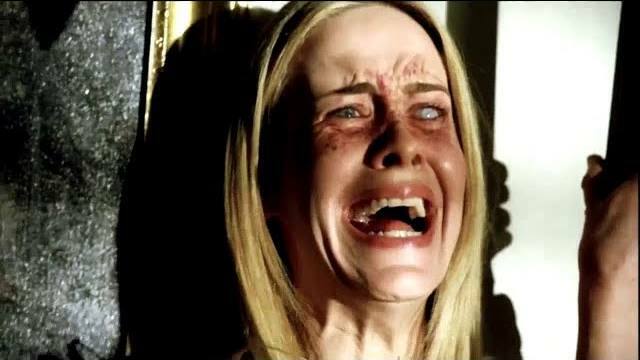 The 10-episode season hits Netflix on October 28th — just in time for Halloween — so get ready for some serious binge-ing! Sabrina is finally embracing her dark side on season 2 of Chilling Adventures of Sabrina! Heck, she’s not just embracing it, she’s loving it! The second season premieres Friday, April 5, and though that’s almost around the corner, after watching this full-length trailer, we fear it can’t come soon enough. 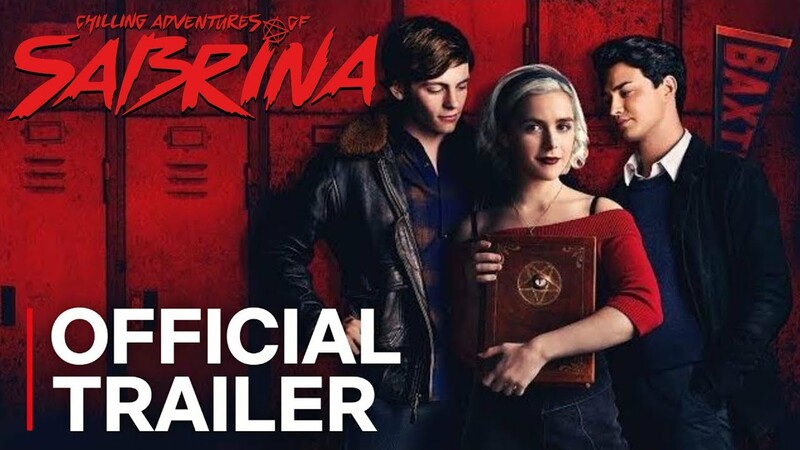 On the heels of Sabrina’s dark baptism, Sabrina has a new look, a new attitude and a love triangle mortal high school boyfriend Harvey Kinkle and warlock Nick. The darkness continues with reports of levitation, a slaughter of demons, and resurrection of witches all from a first-year, half-mortal. That’ll definitely give Sabrina’s Aunties something to worry about. Sabrina’s witchy antics even raised an eyebrow from Satan himself, Lucifer Morningstar, who appears briefly at the end of the video. Is it just me or did no one else expect the Dark Lord to that young and good looking? Harvey is not going to be pleased with this development. 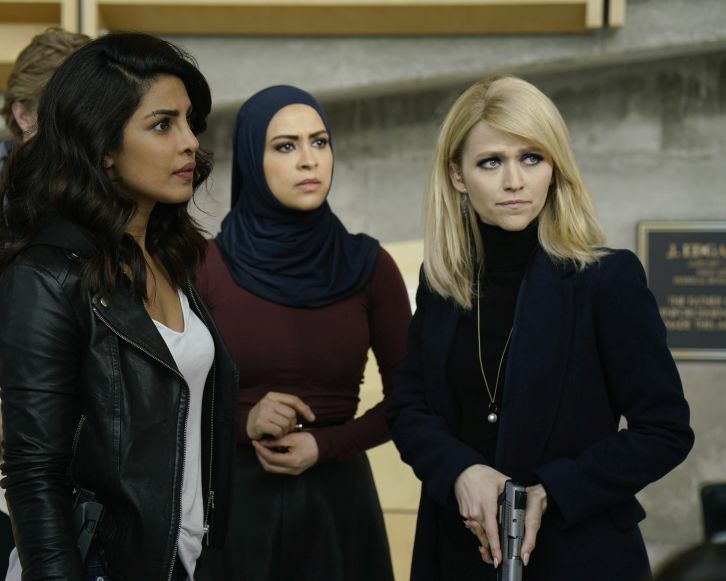 We’re in for a deliciously wild binge come April!